Thanksgiving is tomorrow and many families have a tradition of getting their Christmas tree the next day. The Elgin TX Christmas Tree Farm offers a fun holiday adventure for the whole family! It’s Elgin’s Original Choose-n-cut Tree Farm since 1984. The Elgin Christmas Tree Farm has been selling trees since 1987 when they sold their first tree.They will kick of the Christmas Tree Season on Friday, November 23rd, 2012! They offer hayrides, animals, mazes, food and entertainment for the whole family! Tools needed to cut down your own tree are provided. They even shake your selection to get rid of all needles and wrap it up for the trip home. It doesn’t get any better than that! Check out their website:www.elginchristmastreefarm.com/ and start a new family tradition. 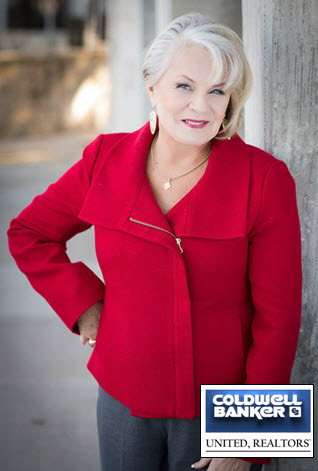 As always local businesses and events are brought to you as a courtesy of Dorie Dillard, Coldwell Banker United Realtors; your NW Austin Real Estate Consultant. P.S. If you are considering the sale or purchase in NW Austin I would love the opportunity to earn your business and exceed your expectations. I have two clients that have tree farms, that I have done mortgages for over the years. The biggest challenge has always been, that they don't report all their income. I guess it is the nature of their business, bit for having such a short season, they both do very well. Sounds fabulous Dorie.............I may just do a live tree this year, been thinking about it. Dorie, this is wonderful information on a local business...i love tree farming & i hope people seek out the Elgin Christmas tree farm for their perfect tree! Happy Thanksgiving! It is always a special day to remember, getting that Christmas tree! I'm sure that is the same for all of them! Have a Happy Thanksgiving. There is nothing better than a live tree..the smell is so wonderful..unfortunately they can get messy:). I always like to get our tree up right after Thanksgiving so this is the plan for our week-end also! They will be busy this week-end for sure! Dorie, The smell of a fresh tree is just part of Christmas. Although I no longer do the fresh tree because of a variety of reasons, I do enjoy them the most. I just love this post ..So festive and in the spirit of the holidays ! I can almost smell the freshness of the pine trees . Thank you..so many will be heading out to get their tree this week-end! It's just a tradition for many!! Dorie-Good info on the Elgin Tree Farm. I can't decide whether I prefer real or artificial tree better. Good points for either.